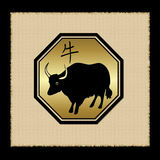 The ox is one of the calmest animal signs. No matter how crazy situations can get, these people won’t panic as much and will be able to put things back in order. They are very dependable, if you need a friend, they’ll be there for you. If you need to get a job done, they will make sure that is their first priority. The ox loves to work, therefore, you will surely see their hardworking trait. Most of all, the ox is very patient and will persist till the end whether it’s their job or their relationships. On the other hand, the ox is one of the most stubborn animals. If you want them to convince them that they’re wrong, a lot of time might be wasted. They are also bias and are not able to think fairly or reasonably sometimes. The mind of an ox is also naïve, especially when it comes to love, so don’t try to make things difficult for them to figure out because the ox is as dumb as it looks somtimes. Worst of all, the ox are old-fashioned so they may miss opportunities and are not able to move forward due to their traditional mindset.